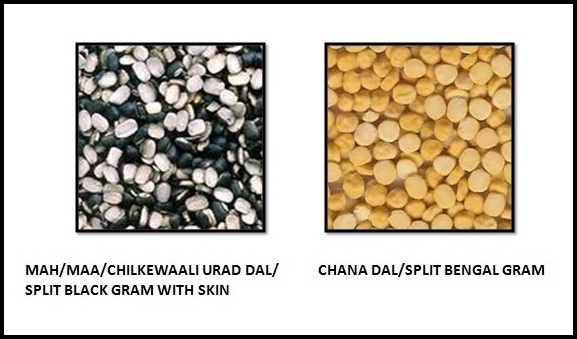 Combine both the dals and wash them till water runs clear. Soak for about half an hour, drain the water and keep aside. Cook the dals together with salt, turmeric and ginger till almost done. (I pressure cooked with about 4 cups of water, 2 whistles – one on high, one on medium flame; if using a pan to cook the dals, you will need a little more water). In a small frying pan, heat oil and sauté the onions till they start to turn brown. Add in the ginger ,garlic and green chilies. Sauté till onions go golden brown. Add in the tomatoes and cook till tomatoes go completely mushy and release oil. Add this onion tomato mix to the cooked dal and lightly mash the dal against the sides of the pan/cooker with a ladle. 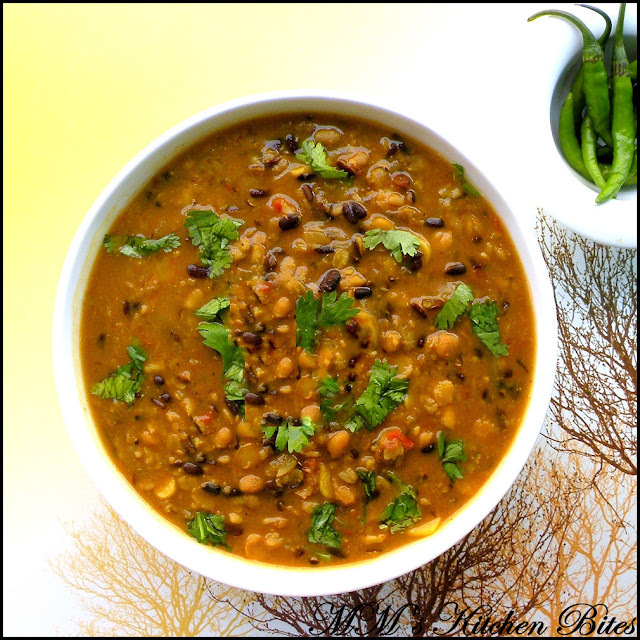 Let the dal simmer on low heat for 15-20 minutes till thick or medium thick consistency. Serve topped with fresh coriander and butter (optional, but sooo worth it). looks so divine.love to dig in. Sounds delicious, must try it soon, thanks for sharing.